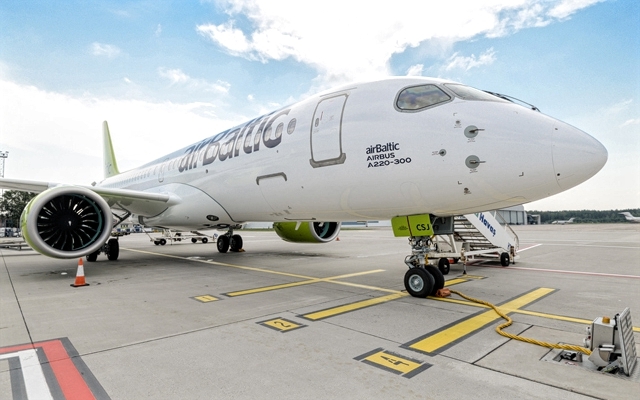 Air Baltic Receives First Airbus A220-300. 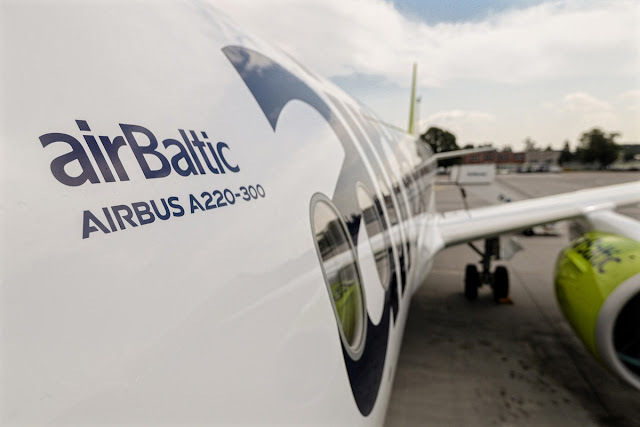 The Latvian airline Air Baltic officially received its first airplane with the Airbus A220 brand today, when the plane arrived in Riga. The narrowbody is the tenth A220-300 to join its fleet. The other nine arrived with the Bombardier CS300 brand, including one presented at the Farnborough air show this week to publicize the new name. Air Baltic expects to have 14 aircraft of the variant in service by the end of 2018. Air Baltic has 40 pending orders for the A220-300, plus 15 options and a letter of intent to order 15 more. Together with the 10 A220, it has 11 Boeing 737 and 12 Bombardier Q400 in service. Airbus took over the CSeries program on July 1 and officially redesigned the plane as the A220 a few days later.